SuperSport says its launching a '24-hour cricket channel' on DStv - meanwhile its only broadcasting cricket on an existing DStv channel. SuperSport says it is launching a "24-hour cricket channel on Sunday" on MultiChoice's DStv - in reality its the existing SuperSport 2 (DStv 202) channel on DStv which will just be broadcasting cricket. Pffff. SuperSport isn't launching a cricket TV channel but will be using SuperSport 2 for the next five months to broadcast cricket - although the disingenuous announcement wants to make as if MultiChoice is getting a new cricket TV channel. The cricket which will be shown on the existing SuperSport channel on DStv over the next few months include major cricket tours and events like the five-match India Sri Lanka ODI series (which wouldn't be even on SuperSport 2 but on the SuperSport 5 channel on DStv) and South Africa's tour of Australia for three T20 and 5 ODI's. 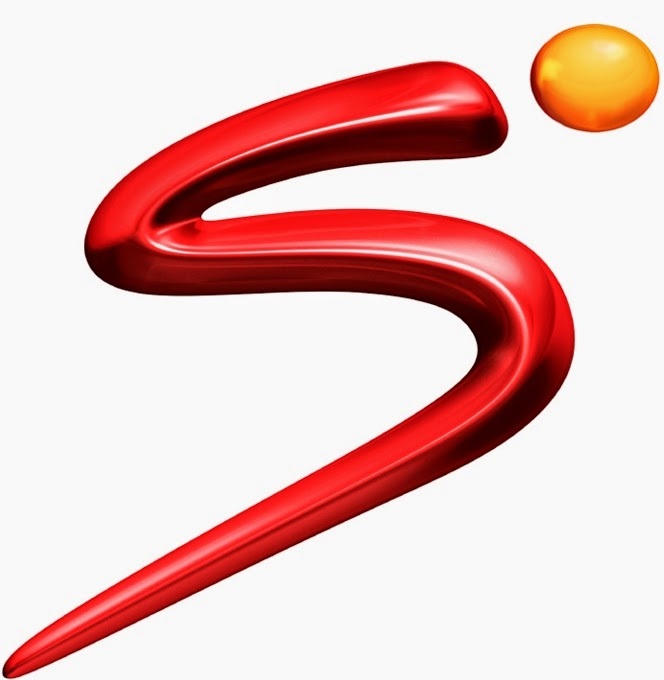 SuperSport will also broadcast the Ram Slam in November and early December on SuperSport 2. The existing SuperSport 2 TV channel on DStv will also broadcast the West Indies tour of South Africa which includes three Tests, three T20's and 5 ODI's. Then there's also India's tour of Australia, New Zealand playing Sri Lanka in ODI's and tests and the Cricket World Cup from Australia and New Zealand. The cricket commentary team will include Graeme Smith, Shaun Pollock, HD Ackerman, Mike Haysman, Mark Boucher, Michael Holding, Ian Bishop, Mpumelelo Mbangwa and Kepler Wessels. BREAKING. eNCA abruptly cut from SKY in the United Kingdom after just 2 years; too expensive for news channel to continue on satellite TV there. eNCA (DStv 403) is abruptly taken off of SKY's pay-TV platform in the United Kingdom tomorrow at 06:00 - just two years after it branched out in August 2012 and eNCA announced with great fanfare that it was being added to SKY. Viewers in the United Kingdom's TV viewers will lose eNCA from tomorrow, Friday 31 October at 06:00 when the South African 24-hour TV news channel goes dark, the end of its inter-continental expansion on satellite television. e.tv and eNCA are mired in a scandalous management meltdown with CEO Marcel Golding and COO Bronwyn Keene-Young suddenly both out the door and questions swirling about the credibility of its news offering and allegations of political interference in its news coverage. Behind the scenes eNCA is going through changes. eNCA quietly cancelled its Africa news bulletin, Africa Edition two months ago when Chris Maroleng left. Meanwhile eNCA's contract for possible renewal is up with MultiChoice on which eNCA is available exclusively on DStv, and where it is the most watched of all the 24-hour TV news channels available in South Africa. Maxwell Nonge, the managing director of Platco Digital which runs the OpenView HD (OVHD) free-to-air satellite platform, earlier this month said that he wants eNCA to become available on OVHD as well. When TV with Thinus asked about it earlier this month, eNCA's managing director Patrick Conroy responded to a media enquiry saying that "contract negotiations are confidential and regrettably we will be unable to discuss these matters with the media until such a time as it is appropriate to do so." Asked today why eNCA is suddenly being cut from SKY, eNCA responded by saying that "the reasons behind the move is part of the company's efforts to respond to changes in the way news media is consumed in a digital world". "We know we have a loyal audience on SKY who will be upset by the decision," says Patrick Conroy, and that eNCA "regrets that very much. However the reality is that satellite broadcasting is expensive and we have to look at cost effective alternatives such as live streaming". "Our news content will still be globally accessible just through alternative platforms," says Patrick Conroy, like www.Livestation.com where people outside of South Africa can watch it. eNCA says it is exploring "alternative platforms" so that viewers are able to easily watch the service on their TV's, including an app on Samsung's Smart TV which will be launched, according to the news channel, before the end of the year. South African TV news insiders have been gossiping that eNCA allegedly has spent so much money on covering the Oscar Pistorius trial this year that most of the travel budget for the financial year has been blown. "It means that news teams can't actually really travel in the regions where they're based and can only do 'local' stories in the cities they're based," said one. BREAKING. 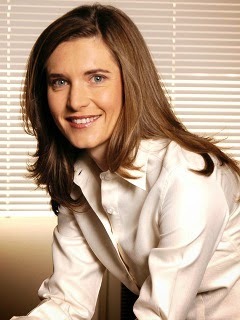 e.tv, eNCA in chaotic management meltdown; broadcaster plunged into chaos as COO Bronwyn Keene-Young resigns. The South African free-to-air broadcaster e.tv is plunging deeper and deeper into a massive management meltdown and its biggest existential reputational and credibility crisis ever as its decade long chief operating officer (COO) Bronwyn Keene-Young also suddenly resigned this morning. e.tv and eNCA (DStv 403) are shocked while Bronwyn Keene-Young, who've been with e.tv for 15 years - 10 of which as COO and then lately as "chief corporate officer" - is following her husband Marcel Golding out the door who abruptly quit as CEO on Monday. Marcel Golding, Bronwyn Keene-Young and e.tv chairperson John Copelyn founded e.tv as a difficult start-up which they've grown to a successful South African TV business but now Bronwyn Keene-Young who is taking years of TV experience with her, is slamming John Copelyn saying that he "doesn't understand that it is Marcel's vision, which has driven us to the success we enjoy today and that he believes that he can destroy Marcel's legacy". Marcel Golding claims political interference with e.tv and its news brands eNews and eNCA, and now Bronwyn Keene-Young, married to Marcel Golding, slams John Copelyn confirming what Marcel Golding says. Bronwyn Keene-Young writes that "John Copelyn doesn't tell you that he has told our exco that eNCA's news coverage is 'problematic' for Hosken Consolidated Investments' other interest and that our news had to be reined in so that it didn't affect HCI's ability to source gambling licences from government". Bronwyn Keene-Young writes that "John Copelyn is silent on how he has attempted to manipulate this company from behind the scenes". "He fails to tell that earlier this year, when I resisted editorial instructions from Yunis Shaik, he [John Copelyn] sought my removal from the company. After pushback from our exco, he agreed to let me stay on provided that I was sidelined into a new position in which news no longer reported to me." "Copelyn doesn't tell you that he told me that the line of editorial independence was not one for the news editorial team to determine and nor was it for Sabido management to determine. That line would be determined by HCI." "Copelyn doesn't tell you that he was fully aware of the 'Ellies shares' matter from early August and that he did nothing about it until early October until all other attempts and threats to get Marcel to resign had failed." "He doesn't tell you that throughout this period, each time Marcel refused to acquiesce to Copelyn's demands and 'go quietly', that Marcel was threatened with disciplinary action on the Ellies matter. "He doesn’t tell you that only in early October – a full two months after Copelyn had become aware of the details of the Ellies matter – did he raise this as a disciplinary issue with Marcel and all of a sudden the Ellies issue became serious enough for HCI to suspend Marcel for 'gross misconduct' and for Copelyn to lock Marcel out of his office." "In his letter, Copelyn has gone to great lengths to misrepresent the facts and to hide his own unacceptable behavior in this entire matter. He does not understand this company, its people, and its DNA, and he never will." "He does not understand the depth of love and loyalty, which staff have to a CEO who has carried them for 15 years from virtual bankruptcy to great success." 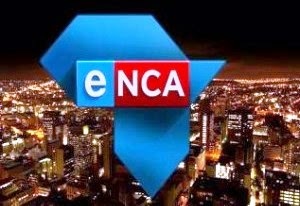 The shocking top management infighting and resignations has rocked e.tv and eNCA and engulfed e.tv, eNews and eNCA in a reputational and credibility crisis which is tarnishing e.tv, eNews and eNCA's news reputations and seriously denting not only e.tv's brand but also how viewers are now going to perceive eNCA's news coverage. BREAKING. M-Net Movies channels on DStv from January reverting back to starting movies immediately after each other; breaks will be 5 min. max. I can reveal and break the news that from January 2015 all of the M-Net Movies channels on MultiChoice's DStv satellite pay-TV platform will revert back to starting movies immediately after each other instead of movies starting on the hour or the half hour. From January the schedule change will be introduced to all of the M-Net Movies channels on DStv, with a new film starting after each other with a break of maximum five minutes between them for promos and commercials. When the subset of M-Net Movies channel launched in October 2012 two years ago, movies started immediately after each other. A year ago, in November 2013, M-Net simplified the M-Net Movies schedule, making it that every movie starts at the earliest quarter of an hour. M-Net then said the change was to help viewers know outright when to expect the start of a new film on any of the nine M-Net Movies channels on DStv. Now in the third year there will again be a schedule format change. Movies on M-Net Movies will now start at any time, with the maximum break being 5 minutes between the end of a movie and the start of a new one. 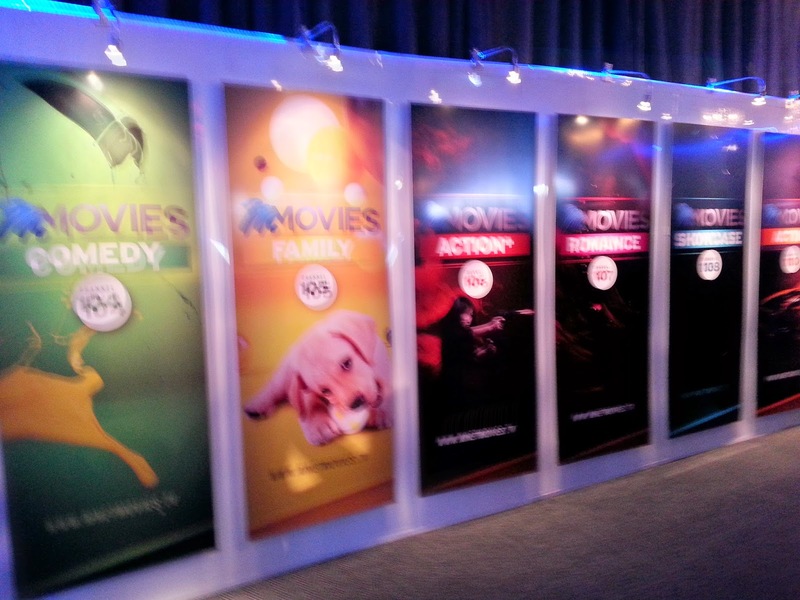 "The ad break or promo break between movies on M-Net Movies will only be five minutes max," M-Net tells me. "If a movie for instance starts at 20:00, when it ends, whatever time it might be, there will only be 5 minutes before the next movie starts." While the M-Net Series channels have been struggling with ratings, prompting the relaunch of M-Net Series Showcase as M-Net Edge and M-Net Series Reality changing to VUZU AMP, the M-Net Movies channels have seen a ratings surge, especially during the previous four months to September which saw a viewership spike for the M-Net Movies channels. M-Net says that after viewership feedback and viewer research, the pay-TV provider has tweaked the schedules, now broadcasting and starting movies across the M-Net Movies channels at times where viewers indicated that they are most likely to want to watch specifically themed movies. The strategy has seen a major ratings surge so far for the M-Net Movies channels. 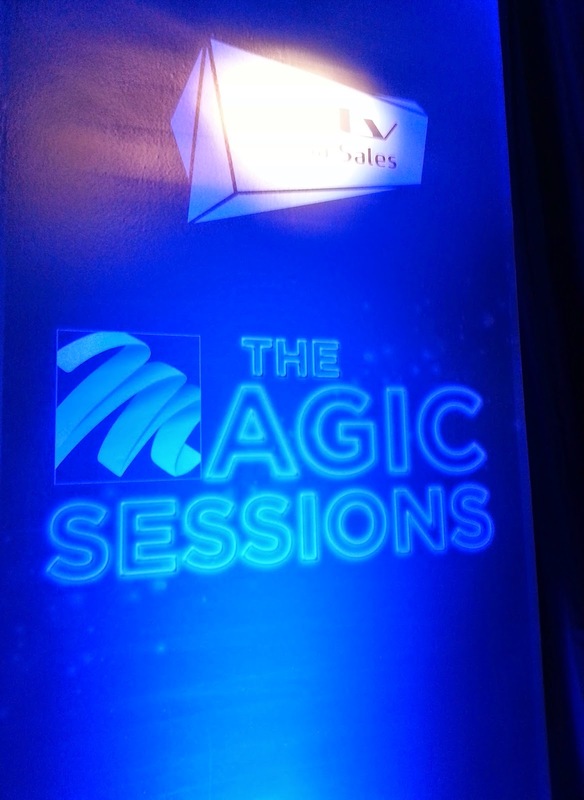 MultiChoice to be adding the new M-Net supplied channel, Jango Magic, in Portuguese, to DStv in November. 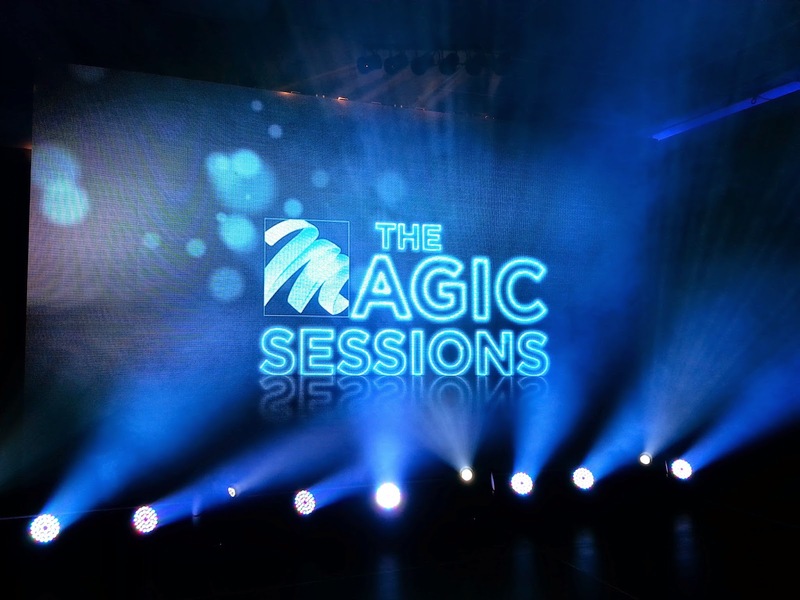 Jango Magic will be added as a brand-new Portuguese infused TV channel to MultiChoice's DStv in November. M-Net East Africa regional director Michael Ndetei revealed Jango Magic to advertisers, TV critics and journalists on Wednesday evening at the M-Net Showcase event at Urban Tree in Johannesburg organised by M-Net and DStv Media Sales. Jango Music will be on DStv in the rest of Africa, excluding South Africa, in countries like Angola and Mozambique. 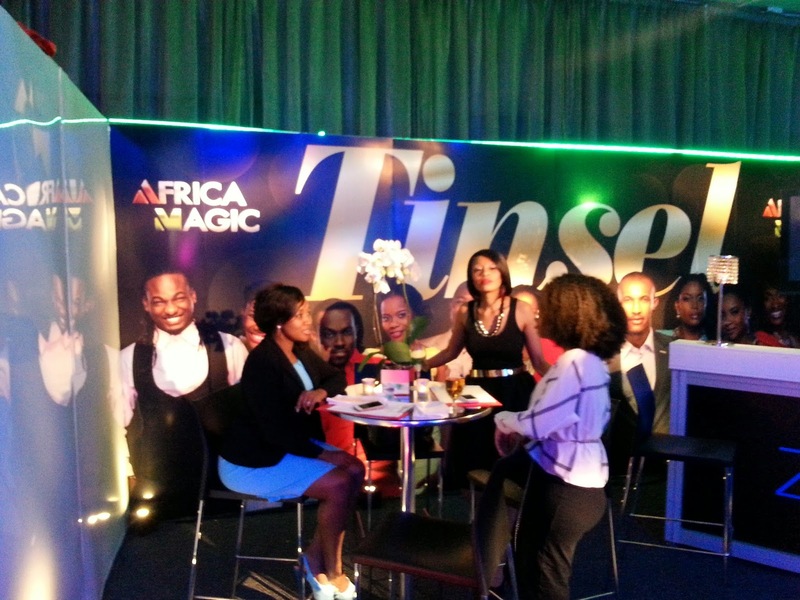 Meanwhile AfricaMagic, M-Net's other TV channel's brand will debut a brand-new Nigerian telenovela, Hotel Majestic, in 2015. Damage control inside e.tv as executives try to calm e.tv and eNCA staff, following the shocking exit of e.tv CEO Marcel Golding. e.tv isn't talking amidst major upheaval and scandal swirling around the free-to-air TV station and its 24-hour TV news channel eNCA (DStv 403), but insiders are telling me executives are scrambling to try and calm staff. Following the shocking resignation of CEO Marcel Golding on Monday - part of a deliberate move by Hosken Consolidated Investment (HCI) shareholders to push him out and his resultant shocking revelations of political interference into e.tv's eNews and eNCA operations - I'm told e.tv is trying to calm the chaos. "e.tv's group attorney just arrived in Cape Town today to try and calm people," I'm told by a source. "Patrick [Conroy, managing director of eNCA and eSat news services] also flew to Cape Town," an insider tells me. 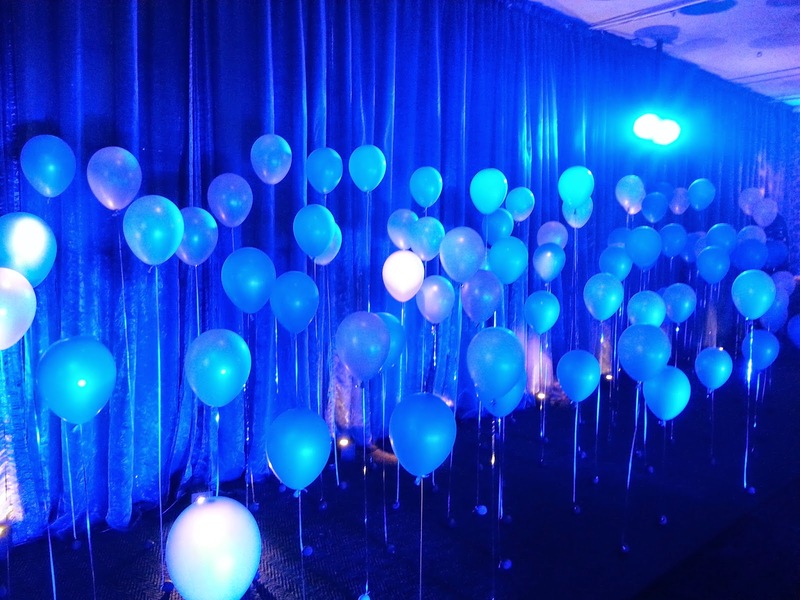 "People are just wondering whether there will be a Christmas party for the staff this year. And if there is one, who will be addressing them this year?" says another one. MultiChoice adds Kagiso Media's Glow TV, which has been available on Platco Digital's OpenView HD, to DStv from November. MultiChoice is adding the little-watched Indian Glow TV channel which has been available on Platco Digital's OpenView HD (OVHD) satellite platform to DStv from 17 November on channel 167. Glow TV, packaged and provided by Kagiso Media will remain on OVHD as well. Glow TV will provide a new TV channel alternative for DStv subscribers after Saffron TV, from the Times Media group, was abruptly shuttered in August last year and disappeared from the DStv channel line-up. Glow TV, a collaboration between Kagiso Media and Nolava Television, launched in October last year but struggled to gain ratings traction with OVHD's limited distribution since OVHD's uptake as a free-to-air satellite TV service has been below expectations. Kagiso Media's majority-owned subsidiary, Urban Brew Studios - which packages other TV channels for MultiChoice's DStv like Dumisa and ONE Gospel and which manages community TV stations available on DStv like Soweto TV, Bay TV and 1KZN - has been producing local TV content for Glow TV. Glow TV started with the hope of reaching South Africa's growing Indian population of 1.3 million people but so far viewership has been far below that. Bigger distribution through DStv will help Glow TV to reach a bigger potential viewing audience. Yusuf Nabee, Glow TV channel head says hopefully more people will now be able to watch the channel with its availability on DStv. "Many South Africans are interested in Eastern-inspired content, so we're delighted to now be able to reach a wider audience through MultiChoice's digital satellite TV service". 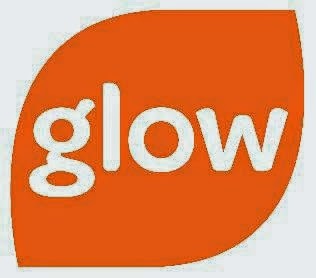 Glow TV will be available on DStv Premium, DStv Compact, DStv Extra and DStv Family. Glow TV plans to add 11 new shows to the channel's line-up in November. BREAKING. Court orders SABC to immediately suspend its controversial matricless chief operating officer (COO) Hlaudi Motsoeneng. The Western Cape High Court has ruled that the SABC must immediately suspend its controversial and famously matricless chief oeprating officer (COO) Hlaudi Motsoeneng. Judge Ashton Schippers said that "organs of state cannot ignore the Public Protector's remedial action". The court ordered the SABC to start disciplinary proceedings againt Hlaudi Motsoeneng within 14 days and that the disciplinary hearing has to happen within 60 days. The disciplinary process will have to be steered by an independent person. Judge Ashton Schippers ruled that the SABC will have to deliver an affidavit to the court should the South African public broadcaster fail to complete the disciplinary process against Hlaudi Motsoeneng within 60 days. "Good administration of the SABC and openness and accountability, demand his suspension," Judge Schippers ruled, saying that the allegations against Hlaudi Motsoeneng is serious. Judge Ashton Schippers ordered the SABC, SABC chairperson Ellen Zandile Tshabalala - currently embroiled in her own scandal - and the minister of communications, Faith Muthambi, to pay the legal costs of the court application. Judge Ashton Schippers said the Public Protector "strengthens democracy by providing both the individual and the wider society with the assurance that the various institutions of state can be called to account, should they fail to maintain expected standards". 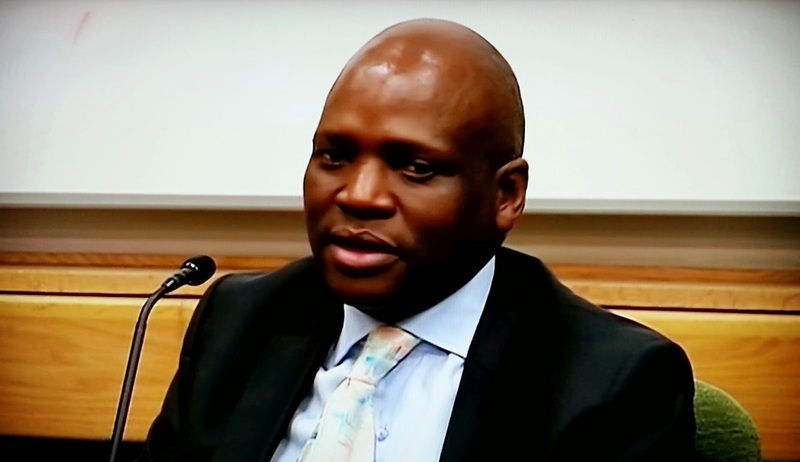 In February the Public Protector's office released a scathing report, saying that Hlaudi Motsoeneng "should never have been appointed at the SABC", and implicating him in maladministration, governance and ethics breaches, that he was directly involved with getting everyone fired who testified during his disciplinary hearing, was involved in salary increases for himself and others which ballooned the SABC's salary bill by millions of rands. The Public Protector also found that Hlaudi Motsoeneng lied about having a matric and made up symbols for a fake matric certificate he knew he couldn't produce - something Hlaudi Motsoeneng admitted to the Public Protector in a recorded interview. Instead of suspending Hlaudi Motsoeneng and acting on the report, the SABC permanently appointed Hlaudi Motsoeneng in the position of COO in which he had been acting in. The Democratic Alliance (DA) political party then launched a high court bid to have Hlaudi Motsoeneng's permanent SABC appointment set aside. The DA's shadow minister of communications, Gavin Davis, in a statement says the judgment to suspend Hlaudi Motsoeneng is "a resounding victory for every person who values our constitutional democracy and independent public broadcasting". "The suspension of Hlaudi Motsoeneng is an opportunity to start getting the SABC back on track. We have argued all along that the Public Protector's damning findings against Hlaudi Motsoeneng could not be ignored." "Hlaudi Motsoeneng is bad news for the SABC and bad news for South Africa." "He is a key figure in the ongoing 'Zumafication' of the public broadcaster and has been protected and promoted despite several findings against him. We hope that the SABC will see this as an opportunity to finally hold Hlaudi Motsoeneng accountable for his actions," said Gavin Davis. The SABC chairperson Ellen Zandile Tshabalala who had so far failed to produce proof of her tertiary qualifications she claims to have is also involved in a legal battle to prevent parliament from suspending her. Instead of providing proof or answering questions before parliament's portfolio committee on communications after having been granted multiple extensions, Ellen Zandile Tshabalala this week decided to get an urgent court interdict to prevent the parliamentary inquiry from proceeding. SABC spokesperson Kaizer Kganyago tells TV with Thinus that the SABC board will study the judgment first before making any comment. BREAKING. Suspended e.tv boss Marcel Golding alleges government political interference in eNews and eNCA news coverage. The suspended e.tv boss Marcel Golding says his suspension is the result of government political interference in news coverage on e.tv's eNews and eNCA (DStv 403). Marcel Golding alleges in filed court papers to block his shocking suspension which took place this week, that his suspension is partially the result of behind-the-scenes corporate and political infighting in which Hosken Consolidated Investment's TV channel e.tv and its news division eNews and 24-TV news channel eNCA were pressured to cover positive ANC news. The political pressure for certain news coverage allegedly followed after e.tv's lobbying process of the government to take e.tv's side of the ongoing, and unresolved, battle over set-top box (STB) control for decoders when South Africa eventually switches from analogue to digital terrestrial broadcasting (DTT). In an affidavit lodged with the Cape Town Labourt Court, Marcel Golding details how he was "forced out" due to the trade union SACTWU who first sidelined his wife, Bronwyn-Keene-Young who is e.tv's chief operating officer (COO), when she allegedly resisted and rebuked a direct instruction to do political news coverage from an ANC minister. The pressure allegedly comes from HCI director Yunis Shaik, the brother of Schabir Shaik. Marcel Golding alleges that a technical transaction with Ellies is now being used to try and force him out. He says the disciplinary hearing "has been launched after months of attempts to get me to relinquish the chair of the board of HCI and resign as CEO of e.tv and Sabido as a result of my refusal to permit e.tv to be used for political purposes by a trade union that is invested in the group". In his affidavit Marcel Golding alleges that "SACTWU has persistently attempted to influence the editorial direction of eNews in order to further its agenda". "On 24 March 2014 Yunis Shaik addressed an email to Bronwyn Keene-Young stating that the minister of economic development Ebrahim Patel had called him and asked that a supplied news feed of president Jacob Zuma opening a dam be aired on the e.tv evening news. It should be noted that this request was made four days after the Public Protector's report into Nkandla was made public." "Bronwyn Keene-Young and I were at a conference and unavailable to respond. Shaik therefore, after receiving another call from minister Patel assumed the responsibility to liaise with Patrick Conroy, the managing director of eNCA." "On 24 March Bronwyn Keene-Young replied to Shaik's email and explained the inappropriateness of Shaik's conduct to him in the context of news integrity and appealed to him to never make this kind of request directly to our managers," says Marcel Golding. On 29 April 2014 Marcel Golding says in his affidavit that Shaik contacted Bronwyn Keene-Young again, again over a debate due to be held between Ebrahim Patel and the opposition party at the University of the Witwatersrand. "Patel asked that a clip of an earlier Reserve Bank meeting be aired during the debate. The clip would be supplied and Patel evidently believed it showed the opposition party was incorrect in certain statements it had made regarding the Reserve Bank." "On 19 May 2014 I received another text message from Shaik. This time it was about the possible mention of another HCI affiliate, Tsogo Sun: 'Maggs on Media. He will feature a story on gabmling addiction. See the story before he airs it. Watch the visuals. It would be terrible if he features Tsogo. Check to see if it is balanced and includes activities we take for responsible gambling." Marcel Golding states in his affidavit that on 14 August 2014 he was sent the following SMS by Andre Kriel of SACTWU: "Will call you tomorrow. Violet Seboni Memorial lecture will be on 25 August in Johannesburg. Minister Patel will deliver the lecture. We require e.tv to cover it live. Please arrange." "I was also threatened that should I not resign I would be suspended and disciplined on account of my purchase of Ellies shares - the subject matter of the impending disciplinary hearing." "I believed Ellies was strategically sound to invest in. I saw such an investment as a strategic investment for one of our key Sabido subsidiaries which is struggling to meet its targets [Platco Digital's OpenView HD]." "The subsidiary is a free-to-air satellite platform which is dependent on the distribution - by Ellies - of set-top boxes [STBs]." Marcel Golding in his affidavit says that his understanding is that "SACTWU [wants] to exert greater control over news content at e.tv and eNCA by ensuring a CEO less independent than me assumes control over Sabido," and that he believes that it "is directly related to the pursuance of an agenda to exert greater control over news content aired by e.tv and its related broadcasters." "In opposing the attempts to manipulate news content I have been acting to protect the rights of editorial staff to run an independent news service," says Marcel Golding's affidavit. BREAKING. fliekNET coming to MultiChoice's DStv as a brand-new Afrikaans movie channel from 10 December. I can reveal that MultiChoice will be adding the brand-new Afrikaans movie channel, fliekNET (DStv 198) to the DStv satellite pay-TV platform from 10 December, supplied to DStv by M-Net. "We're adding this new Afrikaans movie channel. The channel will be called fliekNET," Karen Meiring, M-Net's director of Afrikaans channels told advertisers, TV critics and journalists on Wednesday night at the M-Net Showcase at Urban Tree, organised by M-Net and DStv Media Sales. M-Net already supplies the channels of kykNET, kykNET Musiek and kykNET & kie to MultiChoice's DStv. This existing offering will now be broaden further when it launches fliekNET as a "pop-up" TV channel which will be running for a limited amount of time over the December holiday and festive season. "fliekNET as a TV channel will have a beginning and an end. 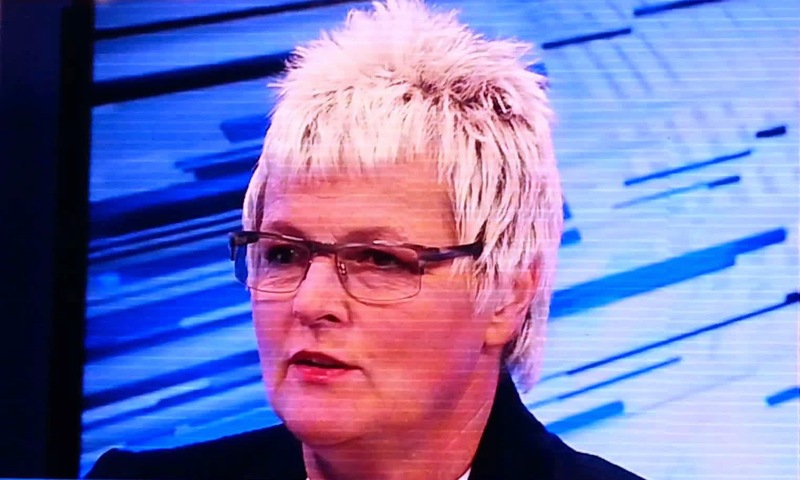 fliekNET will start from 10 December and run until the end of January," Karen Meiring told TV with Thinus. "The idea behind fliekNET is that it's kykNET's 15th birthday in November. We thought that instead of having a big birthday party for a few people, lets give our loyal viewers and South Africa an Afrikaans film channel for six to seven weeks." "We have this wonderful and completely amazing Afrikaans film library that we will utilize to create the channel. We will start thematically - viewers will be able to enjoy everything from romantic movies to incredible documentary films on fliekNET," says Karen Meiring. "Afrikaans viewers simply love documentary films and there's even some fascinating Afrikaans documentary series which we will work into the schedule." Asked how many movies there will be on DStv's fliekNET, Karen Meiring says "a lot". "Up until the very most recent releases will be on the channel. It's a lot of movies. We will broadcast it in high definition (HD) on channel 198. We're incredibly excited." Besides fliekNET running as a pop-up channel, kykNET (DStv 144) will start with a brand-new season of new Afrikaans films in January 2015. BREAKING. SABC chairperson Ellen Zandile Tshabalala lodges urgent court interdict to try and stop the public inquiry into her apparently fake qualifications. The SABC's controversial chairperson Ellen Zandile Tshabalala who refuses to provide proof of her claimed so-called tertiary qualifications which Unisa says doesn't exist is now going to court in a shocking attempt to try and stop the parliamentary inquiry into her non-existent qualifications. Ellen Zandile Tshabalala is mired in a growing and highly embarrassing spectacle which is not just damaging her reputation but also the image of the already battered South African public broadcaster. Last week she yet again delayed a public parliamentary inquiry into her qualifications, and now the SABC chairperson has decided to go to court to try and stop the inquiry, according to Sapa. Ellen Zandile Tshababala's lawyers lodged an urgent interdict with the Western Cape High Court to stop the parliamentary process which seeks to suspend her for her months' long inability to produce any proof of the tertiary qualifications. Ellen Zandile Tshabalala claimed to have a B.Com degree and a diploma in labour management from Unisa when she applied to parliament to become SABC chairperson at the end of last year. 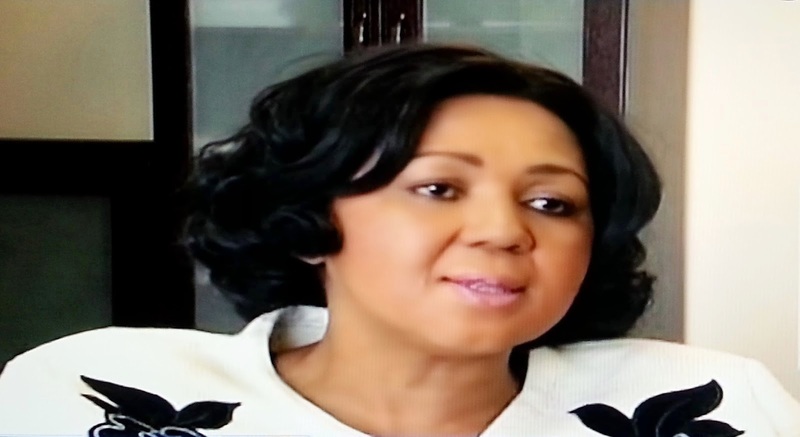 She was permanently appointed as SABC chairperson in September 2013. The court will decide today whether or not to grant the urgent interdict. Ellen Zandile Tshabalala is supposed to appear before the parliamentary enquiry again later today. Parliament's portfolio committee on communications already resolved in September to suspend Ellen Zandile Tshabalala after the recalcitrant SABC chairperson asked, and were given, multiple extensions to produce certificates she claims was "stolen" but which would take less than four hours to verify with the National Qualifications Register. BREAKING. e.tv boss Marcel Golding suspended over alleged serious 'gross misconduct'; disciplinary hearing scheduled for Monday 27 October. e.tv boss Marcel Golding has been immediately suspended over allegations of "gross misconduct" according to Hosken Consolidated Investments (HCI). Marcel Golding will face a disciplinary hearing into the gross misconduct allegations on Monday 27 October, while he is apparently trying to block his suspension. The charges against Marcel Golding were "found to be of a very serious nature warranting disciplinary action," says HCI in a statement. Marcel Golding's shocking suspension is the second high-level, high-profile suspension within South Africa's TV industry, following that of Leo Manne, the SABC's general manager for TV channels. 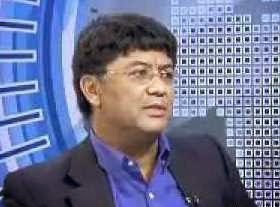 Marcel Golding, a former trade unionist, has been the executive chairperson of HCI since 1997 and has been a prominent figure in South Africa's television industry, outspoken about the country's looming, and long-delayed and far behind schedule switch from analogue to digital terrestrial television (DTT). HCI is the holding company of the media group subsidiary, Sabido Investments, which owns the commercial free-to-air TV channel e.tv, 24-hour TV news channel eNCA (DStv 403), Sasani Studios and Platco Digital's OpenView HD (OVHD). 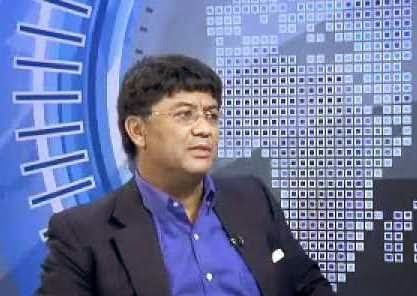 HCI refuses to say why Marcel Golding was suspended and is unwilling to give reasons, saying that "HCI will take such steps as are necessary to protect its interests". BREAKING. M-Net: 'To put it bluntly: We are now faster than piracy,' says the South African pay-TV broadcaster. "To put it bluntly: We are now faster than piracy." So said Victor Eckard, M-Net director, on Wednesday evening when he addressed a conference venue full of advertisers, TV critics and journalists. Victor Eckard spoke about how the South African pay-TV broadcaster is bringing viewers more premium content, faster than ever before and on highly desirable TV channels like M-Net (DStv 101) and the just launched M-Net Edge and VUZU AMP.
" 'Express from the US' gives viewers in South Africa the opportunity to watch a show within 24 hours of broadcast in the United States and we've done it very successfully with Ray Donovan, and then we also did it now with Homeland and Gotham," said Victor Eckard. "The good thing about 'Express from the US' is if you don't view or record that 4:00am episode, you can get it exclusively on DStv Catch Up on DStv the DStv Explora. So hopefully everyone's got the DStv Explora to catch up on that content." " ' Express from the US' is probably one of the coolest brands now in South Africa." "People are talking about Express from the US, and others are now trying to follow what M-Net has done here. It's first, exclusive and premium. We're taking it once again to another level with Express to the US'," said Victor Eckard. 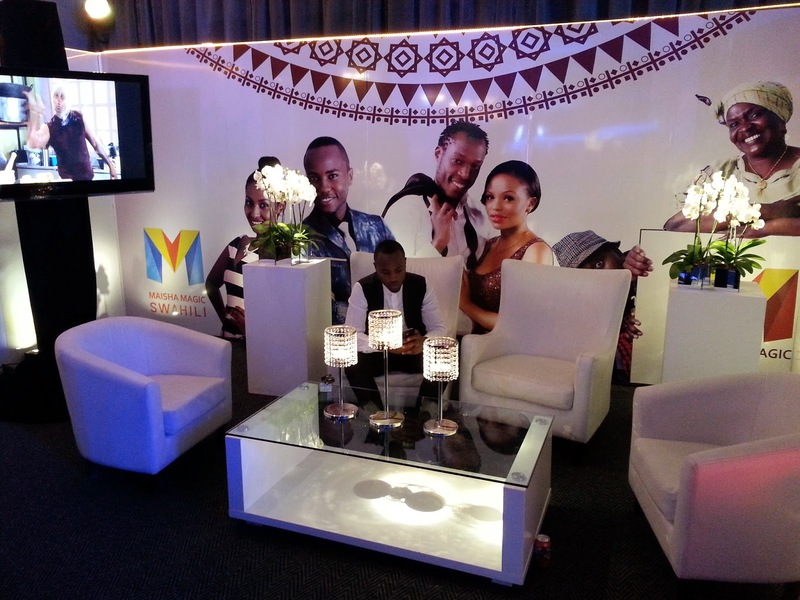 "On Monday night we successfully launched M-Net Edge - the edge of entertainment on channel 102 on DStv. It's premium property. M-Net Edge has the best, critically acclaimed, award-winning content, iconic content." "Basically M-Net (DStv 101) has very, very popular TV content from the United States - things like Two and a Half Men, Grey's Anatomy and The Fixer which viewers all across South Africa love to bits and pieces." "So M-Net Edge basically gives us the opportunity to look after the people that used to stay up past half past 10 at night to watch Game of Thrones, which you'll now be able to get on M-Net Edge at 9 o' clock at night. So we're moving closer to the edge," said Victor Eckard. "All of the content on M-Net Edge (DStv 102) will be significantly different than what is on M-Net (DStv 101) in the fact that it is award-winning, thought-provoking, and critically acclaimed content." "The content is risque but once again, it is award-winning, critically acclaimed content. And we give viewers the opportunity not to wait until half past 10, but to actually get it on M-Net Edge at primetime," said Victor Eckard. BREAKING. M-Net teases massive new local version of an international format reality show for 2015 - is it The Amazing Race Africa? 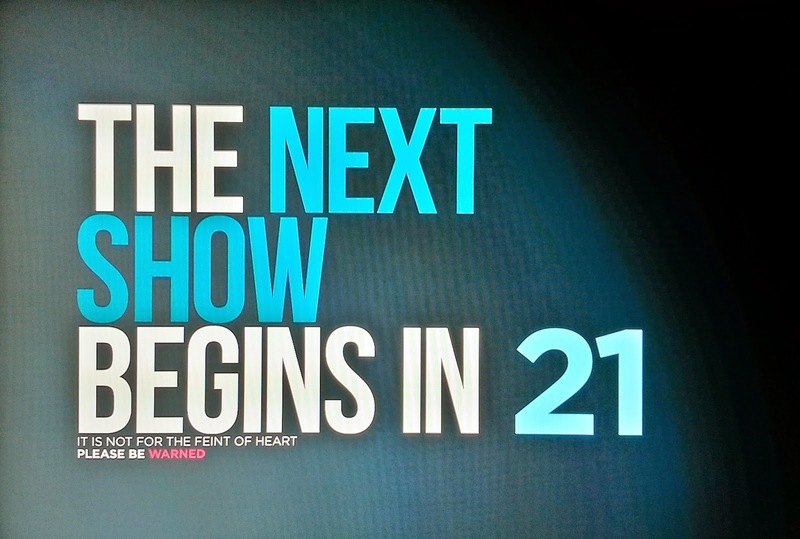 M-Net is teasing a massive new reality show for 2015 which the pay-TV broadcaster says will be something everybody will want to enter and take part in, that it will be a South African version of a hit international reality format, and that it will be a first for Africa. Could it be The Amazing Race South Africa or The Amazing Race Africa? 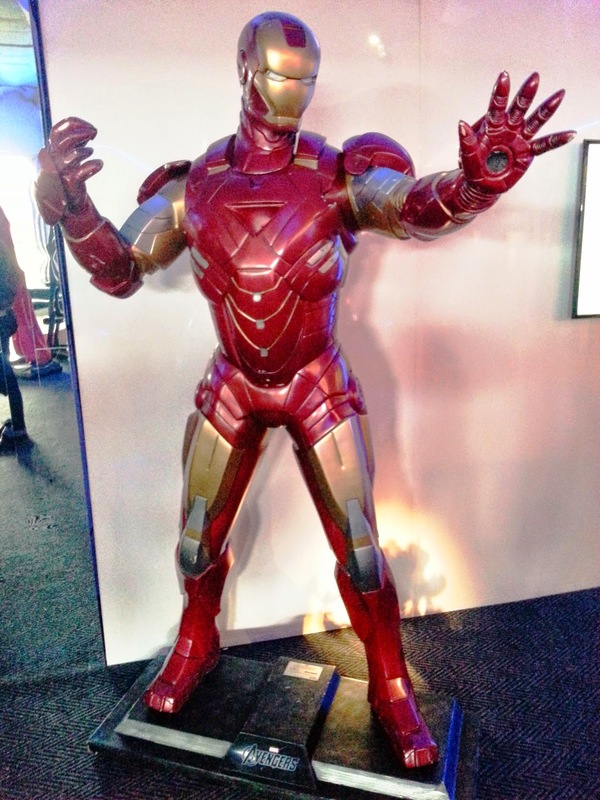 An audible "whaaa" thundered through the audience on Wednesday night when M-Net director Victor Eckard surprised the crowd of advertisers, TV critics and journalists at the M-Net Showcase event at Urban Tree in Johannesburg by promising a big, brand-new reality show for M-Net (DStv 101) for 2015. 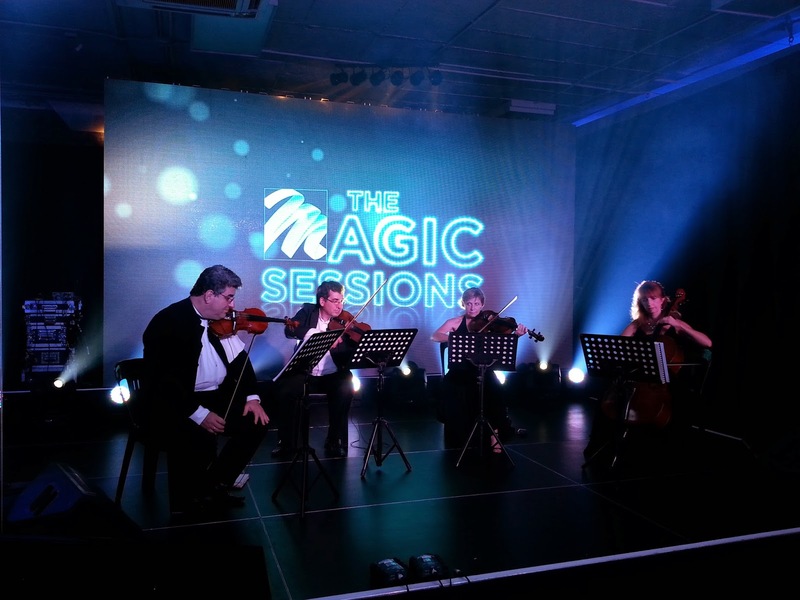 At the event, organised by DStv Media Sales and M-Net, it proved impossible to get the guests to quiet down who all started chattering excitedly as Victor Eckard spoke. "Specifically to international reality show formats, I can't give the show's name, but one thing is a fact: M-Net will bring you another brand-new reality format to the shores next year." "It will be exclusive, it will be a first for the continent, it will be a first for South Africa, it will be premium, and you want to be a part of it," said Victor Eckard. "It will be South African. It will be the first ever in South Africa. It's an international format. I'm not going to say which format it is. It is definitely coming," said Victor Eckard. "We're very excited." In August TV with Thinus reported that M-Net is in final negotiations for The Voice SA and The Amazing Race SA citing longtime M-Net sources. In September Yolisa Phahle, M-Net CEO for South Africa said M-Net did look at acquiring the rights for a version of The Voice but decided against it because the show has been too "exposed" and seen already. There also already exists versions of The Voice elsewhere on the African continent. That would leave The Amazing Race - unless its a whole new other type of reality show. A version of The Amazing Race would be incredibly expensive - due to the travelling and extreme logistics involved, but it would make for great and fascinating television - especially one where South Africans have to navigate and race each other as they make their way through several African countries for instance. BREAKING. 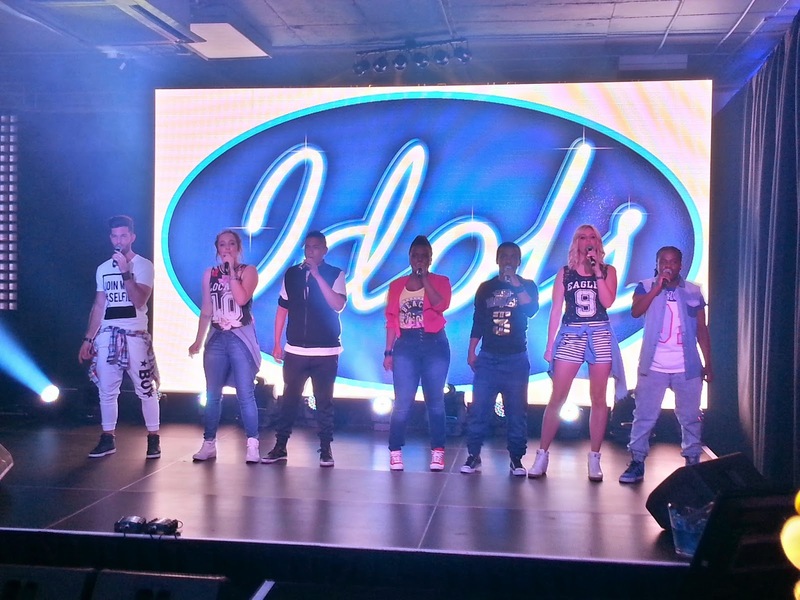 Idols renewed for an 11th season; new season will debut on M-Net and Mzansi Magic on DStv in 2015. 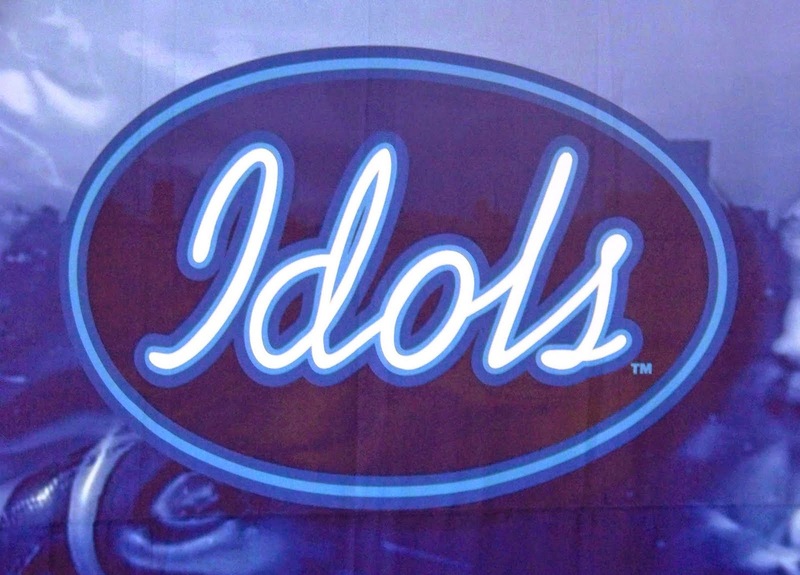 Idols on M-Net (DStv 101) and Mzansi Magic (DStv 161) has been renewed for an 11th season. The South African pay-TV broadcaster made the announced on Wednesday evening to advertisers and journalists at the M-Net Showcase event held at Urban Tree in Johannesburg organised by M-Net and DStv Media Sales. The reality singing competition with host ProVerb, currently in its 10th season, achieved new viewership highs and surpassed any previous voting records so far according to M-Net, prompting the early renewal for another season. 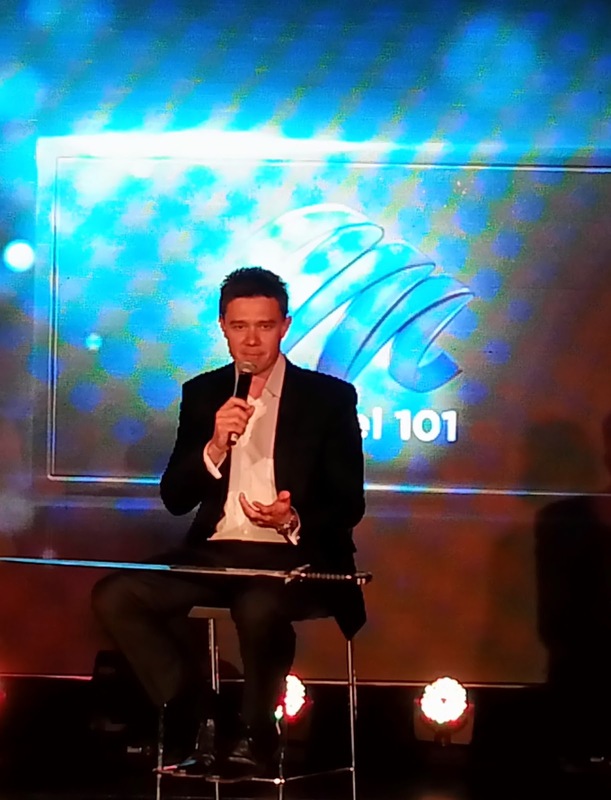 "Idols ratings and votes are up," says Victor Eckard, M-Net Director for M-Net and M-Net Edge. "This 10th season of Idols has proven to be more successful than all of the other seasons in terms of voting. Just in terms of voting, last week we exceeded the total number of votes for the previous season. The votes are shooting through the roof." 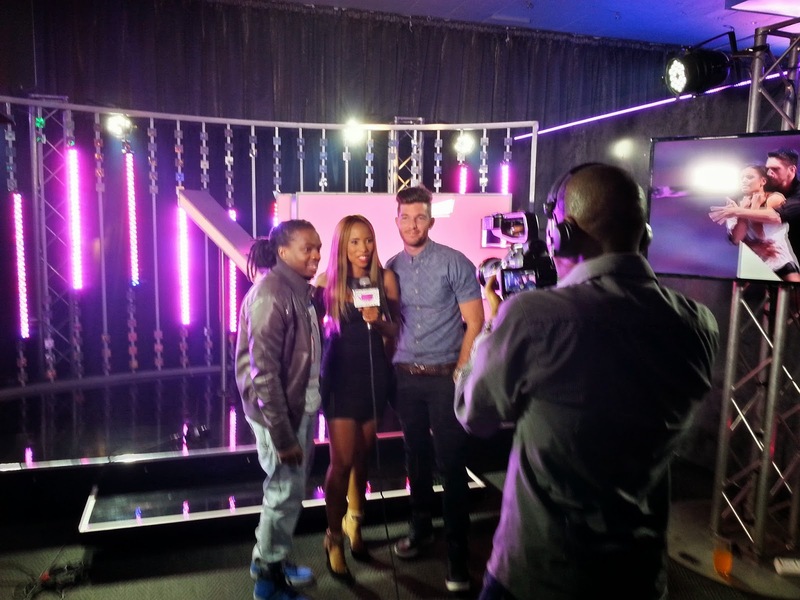 "Idols continues to be an excellent partnership between M-Net and Mzansi Magic," said Victor Eckard. Big Brother Mzansi, produced by Endemol South Africa, will also return in 2015 for another season with its own channels on MultiChoice's DStv, as well as highlight programmes on Mzansi Magic. 'M-Net is the channel that drives DStv Premium, it has done so in the past and will continue to do so in the future,' say M-Net boss. The best TV channel available in South Africa is M-Net (DStv 101) on MultiChoice's DStv says the Randburg-based pay-TV broadcaster which on Wednesday evening assured advertisers, TV critics, and journalists that it will remain that way. "One thing is a fact - that since the launch of M-Net [on DStv] as channel 101 it has been the number one TV channel on DStv Premium," said Victor Eckard, M-Net director for M-Net and M-Net Edge. He was speaking at the M-Net Showcase event, organised by M-Net and DStv Media Sales, which took place on Wednesday evening at Urban Tree in Johannesburg. "It's the channel that drives DStv Premium, it puts the prime in premium - it has done so in the past and it will continue to do so in the future," said Victor Eckard. "The reason why we get it right as M-Net is because we have all of the major Hollywood studios behind us in terms of the international content we acquire for this channel. First, and exclusive, nobody else got it, and only on M-Net on channel 101." "It's also the big format shows, the reality shows that we produce in South Africa that has proven to be very successful." "In terms of the international shows, we will continue to bring viewers the best of the best international shows like Grey's Anatomy, The Fixer, CSI, The Big Bang Theory, Two and a Half Men. "To be honest with you, if it good, we've got it, and it's on M-Net channel 101," said Victor Eckard. SABC splurges R3.39 billion on irregular spending in three years; public broadcaster can't say who exactly is responsible for irregular expenditure. The SABC wasted R3.39 billion on irregular spending in the past three years according to the Auditor General (AG). This R3.39 billion is money the Auditor General (AG) says wasn't spent properly - R900 million in the latest declared annual report of 2013/2014, and R1.36 billion in 2012/2013 and R1 billion in 2011/2012. The SABC's acting chief financial officer (CFO) James Aguma, isn't able to tell parliament who exactly is responsible for the irregular expenditure - one of the reasons the SABC once again received a qualified audit for its 2013/2014 annual report. The Auditor General warned the SABC that the public broadcaster is under reporting its irregular spending. It is the 4th consecutive time that the beleaguered SABC received a qualified audit from the Auditor General. "Who is responsible for irregular spending is a very difficult question to answer," James Aguma told parliament. James Aguma told parliament that irregular expenditure by the SABC "is not something that is going to be disclosed openly". James Aguma told parliament on Tuesday that the SABC's policies were not in line with South African law. James Aguma told parliament that the SABC sometimes broadcast sport coverage before contracts for broadcasting rights are finalised. The SABC is battling disastrous management and poor governance issues, poor internal controls, a famously matricless acting chief operating officer which the Public Protector says "should never have been appointed at the SABC", as well as noncompliance and wasteful expenditure. The SABC still doesn't have a permanent CEO after Lulama Mokhobo abruptly resigned and left at the beginning of the year, getting R8 million for just 11 months of work. The public broadcaster is accused of biased news coverage favouring president Jacob Zuma, angered viewers with idiosyncratic language and programming shifts between channels and recently suspended its TV head Leo Manne. The SABC was this year unable to keep its most watched TV show and biggest TV revenue earner, Generations, on the air as it effectively failed to manage the programming crisis which also inflicted huge further damage on the public perception and reputation of the broadcaster. Gavin Davis, the Democratic Alliance's (DA) shadow minister of communications asked the Public Protector to investigate the R3.39 billion of irregular expenditure of the SABC, saying "R3.4 billion is a mind-boggling amount of money". "If the irregular expenditure was previously covered up, then the public needs to know who was responsible for that as well." "It is clear that the SABC has no appetite to get to the truth and hold anybody accountable for this irregular expenditure. I am therefore requesting the Public Protector to do so." "It is imperative that we get to the bottom of where the money went, who was responsible for spending it irregularly and what action needs to be taken against those responsible." The Bridge on FOX Crime on DStv and StarSat collapses as the drama gets cancelled after just two seasons. The Bridge seen in South Africa on FOX Crime (DStv 126 / StarSat 132) has been cancelled after two seasons. 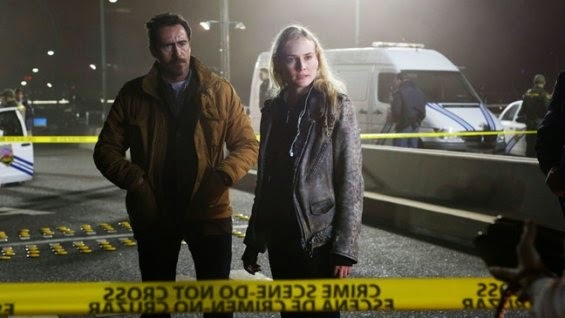 The drama, a co-production between Shine America and FX Productions with Diane Kruger and Demian Bichir and broadcast in America on the FX channel, was a remake of the Danish/Swedish TV show Bron/Broen and wasn't liked by TV critics, nor watched by enough viewers. The second season of The Bridge started in on FOX Crime in South Africa in July and won't be back for a third season. "We thank our partners at FX for their tireless efforts in developing and launching The Bridge with us," says the production in a statement announcing the cancellation. "From its fresh, unique voice to its deep and diverse ensemble cast, this is a series that we are all very proud of." The new M-Net Edge channel on DStv makes you 'feint' - not because of the scary, but because of the small print. Maybe someone will fix it. Eventually. The new M-Net packaged TV channel, M-Net Edge (DStv 102) started on MultiChoice's DStv satellite pay-TV platform last night for DStv Premium subscribers. There's very little text on the programming boards but M-Net still managed to get it wrong and make mistakes. The person who created it and typed the text got it wrong, the person who was supposed to supervise it didn't know better and let it through, and whoever at M-Net is overall in charge of the on-screen look of M-Net Edge and who is running M-Net Edge isn't looking, checking or just doesn't care. And that after having had months to create it, check it and to get it perfect. On Monday night I randomly switched to M-Net Edge. The very first thing I saw was this, and it instantly created the impression that M-Net Edge is not very professional, and that the meticulous care and attention in creating every detail of the new premium TV channel didn't really take place. It's not "feint" of heart but "faint" of heart. "Begins" is the wrong word. It should be "starts". A game, a match, a movie, a TV show always "starts". Something more "formal" where there is some action taking place by a group of people, like a class or a play, usually "begins" at a certain time. DATELINE DAR ES SALAAM: CNN International's Isha Sesay is 'an angry black woman' over media coverage and the world's response to Ebola. 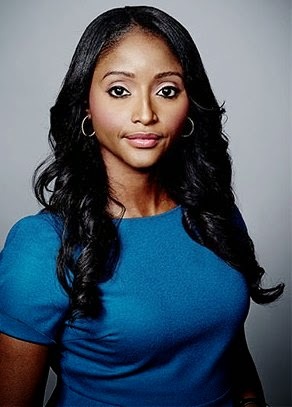 The CNN International (DStv 401) anchor Isha Sesay whose parents are from Sierra Leone - the epicentre of the Ebola pandemic devastating West Africa - says she is "an angry black woman" over the media coverage and the world's inadequate response to Ebola. "I am an angry black woman. I have a very tense relationship with the story because I'm living in the United States but my family is in Sierra Leone. My mother, brother, grandmother - most of my family - are in Sierra Leone right now." Isha Sesay was speaking as a panelist member at the Serena Hotel in Dar es Salaam, Tanzania, in one of the media forum sessions forming part of the CNN MultiChoice African Journalist Awards 2014. "I'm in a place where America has taken this, in my words 'bizarre' approach to this public health emergency on our continent and the media in the United States has made it all about them and their few cases," said Isha Sesay who've spent much of her childhood in Sierra Leone. "I was at the airport a couple of weeks ago and the driver was picking me up. I was there at the baggage carousel. And he said 'Where are you from?' And I said 'I'm from Sierra Leone.' And he took a step back from me." "And I thought: 'Wow. How wretched a job have we done as the media that people think that just because I'm from Sierra Leone, that just being in my presence, regardless of whether I was in Sierra Leone or not, that I'm somehow inherently a carrier of Ebola," said Isha Sesay. "What I'm seeing in the United States is this lack of knowledge. And not just a lack of knowledge, but also a lack of empathy for what we are going through right now on the continent. So I'm in a really difficult space right now." "The coverage of Ebola to date - before we moved to the situation where we're now where the focus is so much on America and the fear that the Western hemisphere is going to be taken over by Ebola - the coverage of the continent had fixated on the continent, and so little on the people." "It was all about the disease stripping us of our dignity, that the stories of the people - what it is doing to individuals and families and communities - haven't been told as much. We haven't as media been that committed to telling it in as much as the continent deserves." "I'm the co-founder of eboladeeply.org because I want to change the discourse around Ebola and really bring in the voices of our people who are suffering, who may not be suffering from the disease directly but are being impacted," said Isha Sesay. "The media need to hold the international community to account, to say 'Where are you?' We have an Ebola UN emergency fund and there's very little money in it. We have pledges being made, but the pledges aren't being translated into action." "We have some countries saying they're going to step up and a lot of countries sitting on the sidelines." "Where are we as the media asking those questions and holding people accountable, and staying on the stories and not averting our gaze and being sidetracked to cases of three people in the United States - people whose lives are valuable, critical - we don't want anyone to die, but again, the epicentre is on the African continent. The responsibility lies with the journalists here in Africa to ask the questions," said Isha Sesay. "We have to realise that the clock is ticking. The world has never anything like this and the world really doesn't know how to deal with numbers that is being put out there that could become a reality." "The media needs to do their part in getting the facts out, asking the questions, staying on this story and tracking it and looking at the resources coming into countries." "There's a lot of stories to be told. There's an information gap here. In the absence of information there's hysteria. And there's inertia," said Isha Sesay. "I interviewed a survivor of Ebola from Liberia who not only has been cast out but his children are being cast out. He told me his car broke down the other day and the mechanics and they wouldn't touch his car." TV with Thinus asked how media without the global reach and resources of a 24-hour TV news channel or international newspaper can try and cover Ebola news more effectively. Thomas Evans, CNN London's bureau chief said that "with the story of Ebola, the risk is quite high, so I wouldn't recommend people rushing in without taking proper precautions". "That being said, that is not the only story - going into an Ebola country. That is not the only way to tell this story. You can talk about what governments are doing, you can talk about the issues of health care systems; these are stories that are equally important." "Just because you're not in villages being completely wiped out by Ebola, doesn't mean that you can't be telling the Ebola story economically, socially, government response," said Tomas Evans. "There is another dilemma Africa faces," said Kenya's dr. Susan Mboya-Kidero, president of The Coca-Cola Foundation, saying African countries' governments and local media have an attitude of "lets not play this [Ebola] too much". "Just take Kenya for instance. The country the past year has gone through terrorism, security issues, tourism is way down. The last thing African governments need right now is another disaster." "And so for many they're saying: 'Let's not overdo this. Let's not blow it out proportion. Let's not give the world another reason not to come and not to invest in Africa. And that's the dilemma," said dr. Susan Mboya-Kidero. "We need to learn from the situations in Nigeria and Senegal and we need to keep telling the stories," said Isha Sesay. "eboladeeply.org is not just about getting the information out, it is also a forum to engage key influencers and thought leaders to look for further answers and solutions to this crisis." The wonderfully friendly, funny, and simply beaming Soni Methu is the new presenter of the weekly magazine show Inside Africa on CNN International (DStv 401). 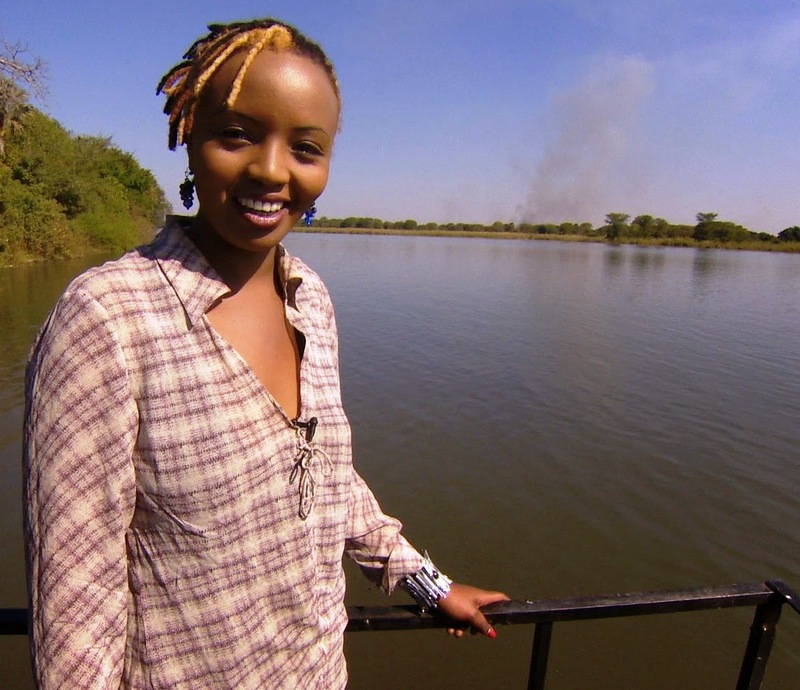 Following in the footsteps of Isha Sesay and Errol Barnett who presented Inside Africa before her, Soni Methu from Kenya says she simply loves the travelling aspect of the pan-African show, visiting various African countries on a weekly basis and getting to talk to a wide variety of people. On Saturday TV with Thinus met up with Soni Methu in Dar es Salaam, Tanzania, for a quick chat during her visit to the East African country for the CNN MultiChoice African Journalist Awards 2014. What do you enjoy about being the new presenter and host of the weekly Inside Africa on CNN International? Soni: So far the best is the travelling across the continent and meeting so many influential people who are making such a huge difference across Africa. So travelling and meeting wonderful people everywhere. Why do you think that a programme such as Inside Africa is important to be on television, and especially on a globally watched TV news channel like CNN International? Soni: Well, Inside Africa gives viewers across the world the positive stories about Africa and its people. Just like everyone's life where it's important to have a "feel good" thing about you, so while the most stories getting coverage is not always very positive, Inside Africa is a show where viewers can see the positive things happening across Africa, that there's so much beauty, growth, development and wonderful talent happening right now in the whole of Africa. Inside Africa is a weekly passport to that. You're the next in the line of succession after Isha and Errol and now viewers are seeing you as the face of Inside Africa. For young girls watching you, people seeing you in their homes, and who maybe also want to go into television or become a TV presenter, what advice would you have for them? Soni: Just be yourself. Don't listen to other people wanting to tell you who you should be or how you should be, or why you should be different. If you are just yourself, if you're true to yourself that's the best thing you can do to join the TV industry and to be good in the industry. It's good to have someone to admire and to look up to, but stick to who you are. 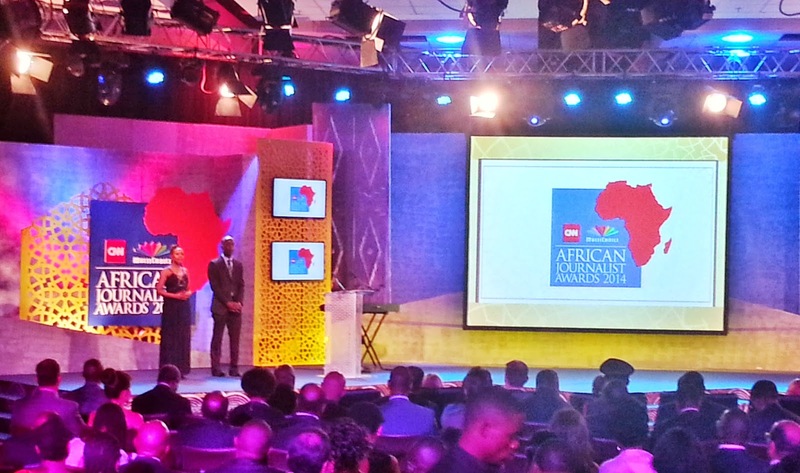 DATELINE DAR ES SALAAM: Isha Sesay oddly absent as host, as Soni Methu steps in to present CNN MultiChoice African Journalist Awards 2014. The CNN reporter and anchor Isha Sesay who did fly to Tanzania and who was announced and supposed to be the host, was oddly absent on Saturday evening when Soni Methu suddenly stepped in to be the host of the CNN MultiChoice African Journalist Awards 2014 in Dar es Salaam. The journalist-filled studio audience at the Mlimani City conference centre in Dar es Salaam, Tanzania instantly started to buzz, wondering and asking aloud: "Where is Isha?" when the new CNN International (DStv 401) presenter of Inside Africa, Soni Methu, appeared on stage to welcome the audience. The organisers of Africa's most prestigious competition recognising and honouring excellence in journalism across the continent, earlier announced Isha Sesay as the host of the CNN MultiChoice African Journalist Awards 2014, and she is the one people expected to see as the presenter for the evening. It is also Isha Sesay's name who appeared in the official, high-gloss printed programme for the CNN MultiChoice African Journalist Awards 2014 as host for the evening. Yet neither CNN International nor MultiChoice ever announced that Isha Sesay would no longer be the host, and no prior mention was made that Soni Methu would be the new host. There was no explanation as to her absence and why Isha Sesay disappeared. Earlier on Saturday morning in Dar es Salaam as part of the three day long media forum series of the CNN MultiChoice African Journalist Awards 2014, the always eloquent Isha Sesay was part of a panel discussion regarding media coverage of Ebola, and on Friday evening she also showed up at a thank you dinner at the Akemi Revolving restaurant. 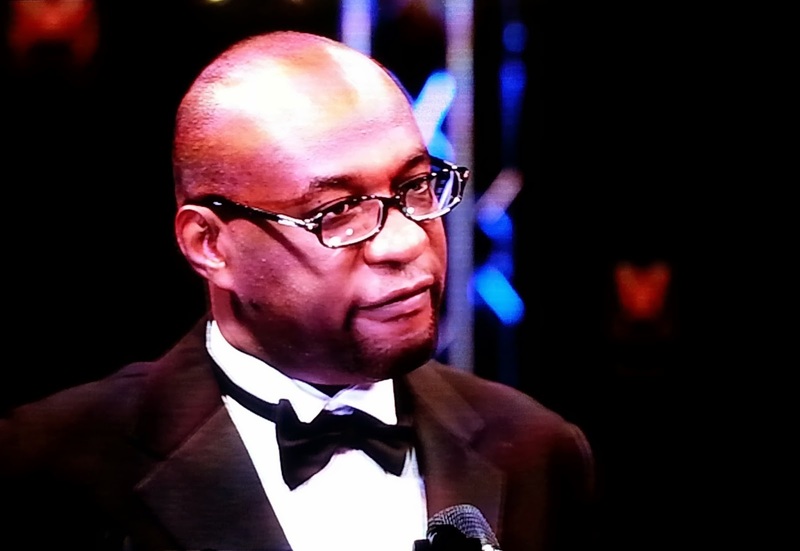 At the gala dinner on Saturday night following the CNN MultiChoice African Journalist Awards 2014 journalist buzzed about Isha Sesay's absence. With no explanation from the organisers, multiple "conspiracy" theories bloomed. Did Isha Sesay suddenly fly to Nigeria to cover the latest news about the missing Nigerian school girls - a story she gave exceptional coverage to earlier this year - since she was now again a hop skip and a jump away in Africa from that country? Was Isha Sesay somehow pushed out at the last minute with Soni Methu pushed in? Did Isha Sesay suddenly take ill? Did Isha Sesay quickly fly to Sierra Leone to see her family and parents who still live there and to check on them, since she is very concerned about their well-being in the African country which is the epicentre of the struggle with Ebola? Or was Isha Sesay "jealous" of Soni Methu also being a part of the event and refused to take part? Journalists thought this last theory was unlikely - both Isha Sesay and Soni Methu took several photos together, chatted the whole evening, and posed together with guest for photos at Friday evening's dinner.